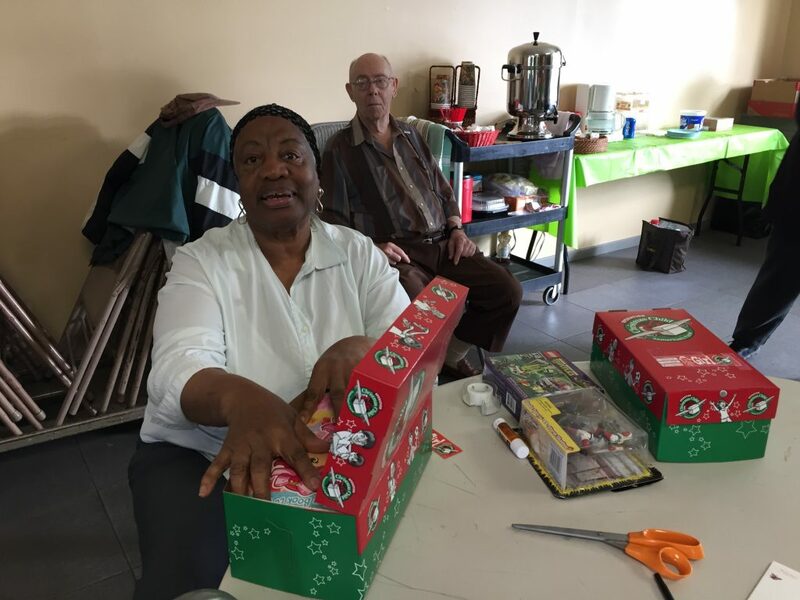 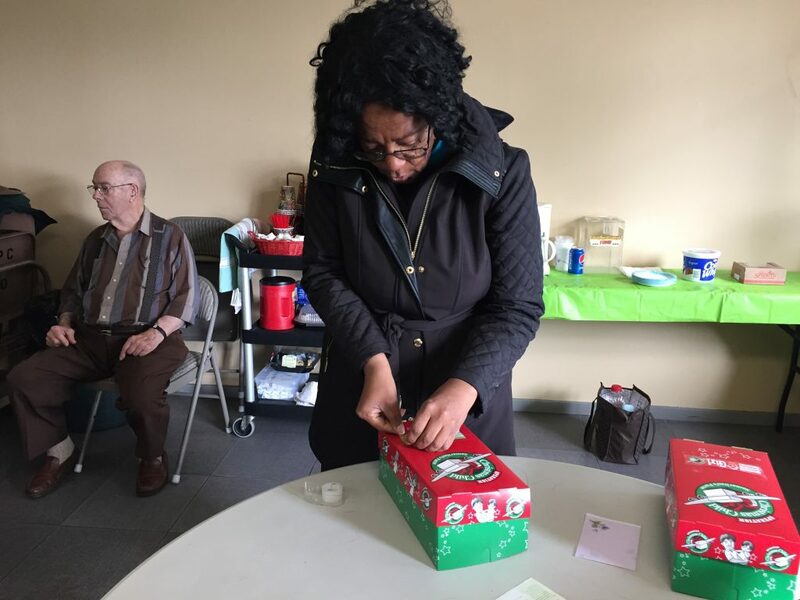 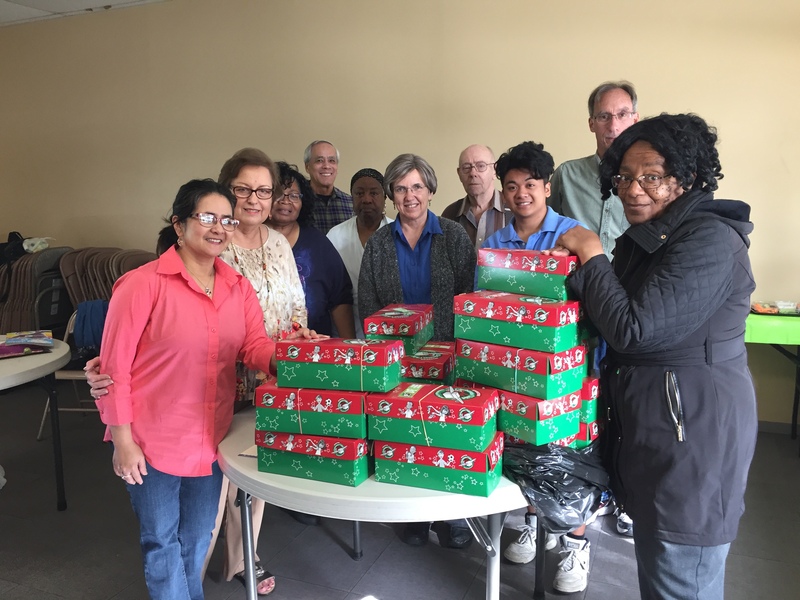 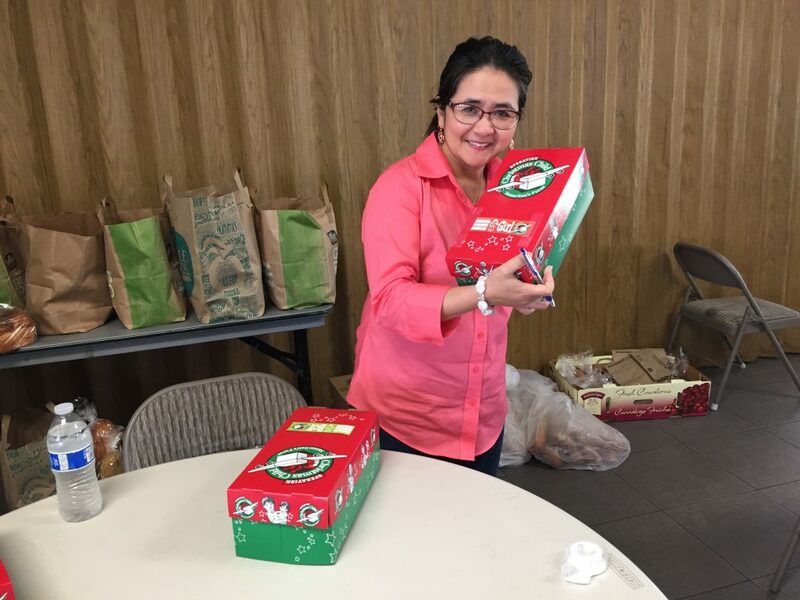 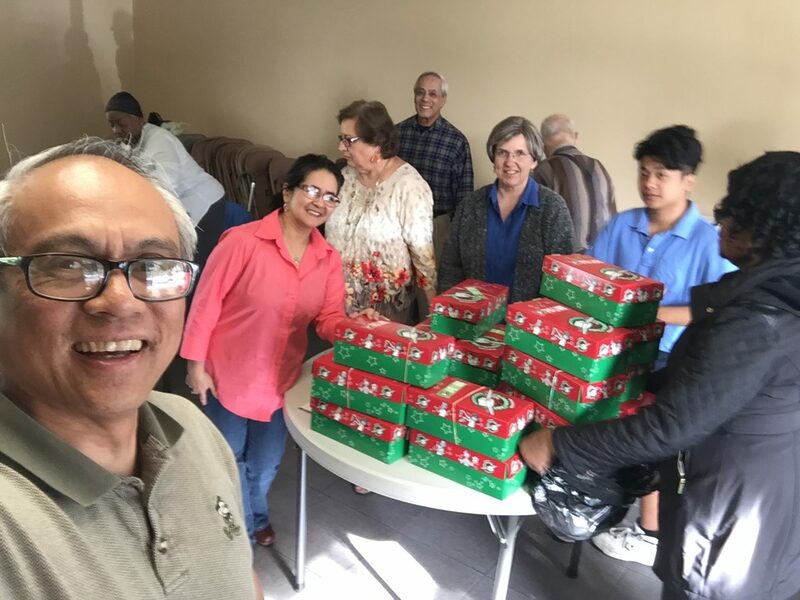 With the leadership of Jo Barnard, we filled shoeboxes with toys, school stuff, and other items, for the Operation Christmas Child by Samaritan’s Purse. 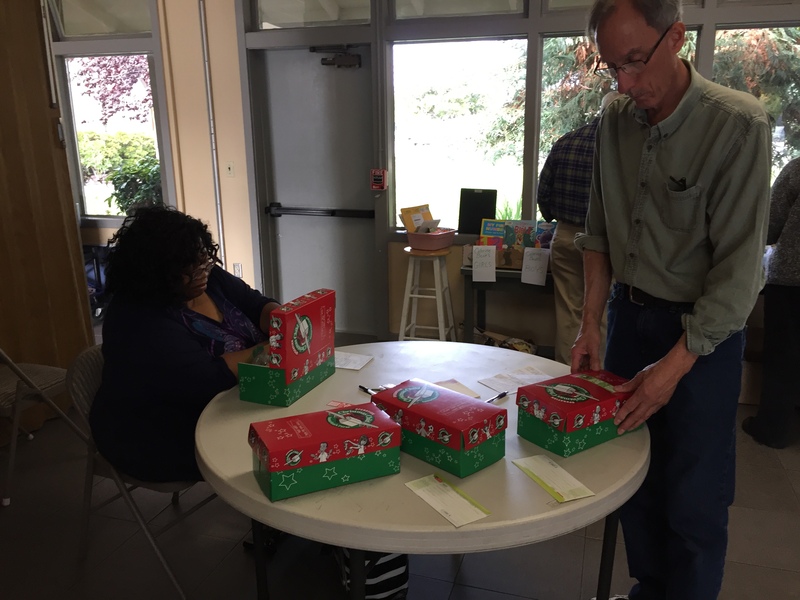 During our church service, we were reminded that Jesus cared for the poor and the little children. 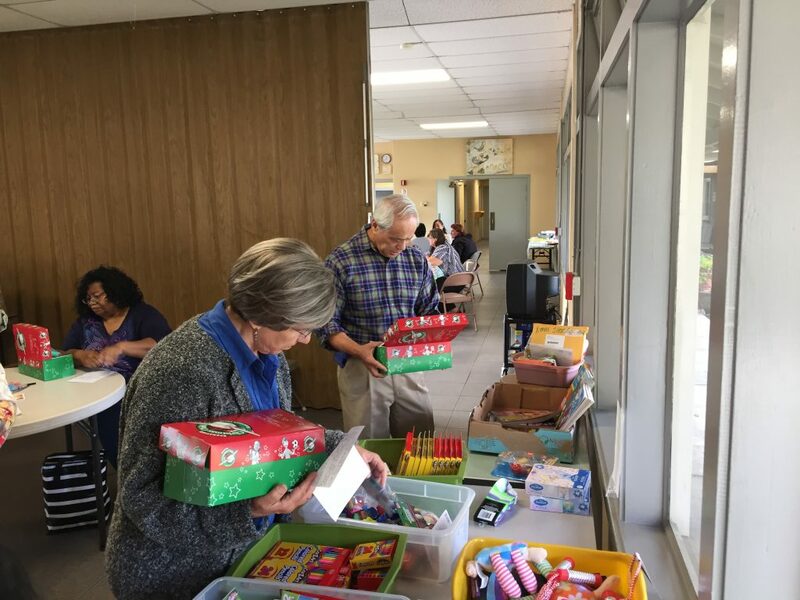 We viewed a video from the Samaritan’s Purse website about the impact of this ministry to the children in Namibia. 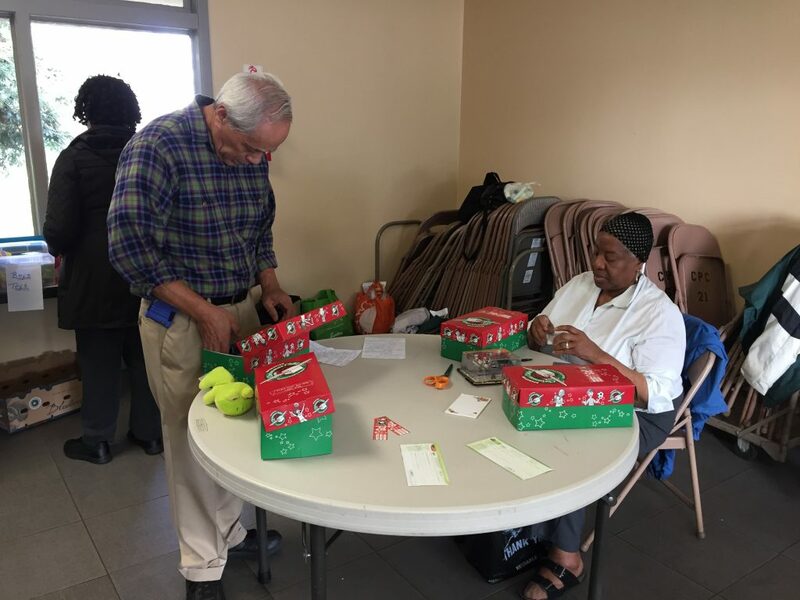 Click Here for the link to the video.